Liverpool and Bayern Munich will face at Anfield Road on February 20. German side has won their group with Ajax, Benfica and AEK Athens, while Liverpool managed to qualify for round of 16 only after beating Napoli in the final match at home. Both teams have several injured player, but it seems Bayern’s situation is worse than Liverpool’s. Merseyside club will be without Alex Oxlade-Chamberlain (not playing from the previous season). Joe Gomez and Dejan Lovren are also yet to recover, as Jurgen Klopp is waiting for positive news. On the other side, Niko Kovac has some serious issues to resolve. Manuel Neuer got injured before latest Bundesliga match against Bayer Leverkusen. Kovac hopes his #1 will be back on time, but there is a doubt whether Neuer could play at Anfield. Also, Franck Ribery and Arjen Robben are recovering, as Kingsley Coman and Thomas Muller were team’s wingers against Leverkusen. 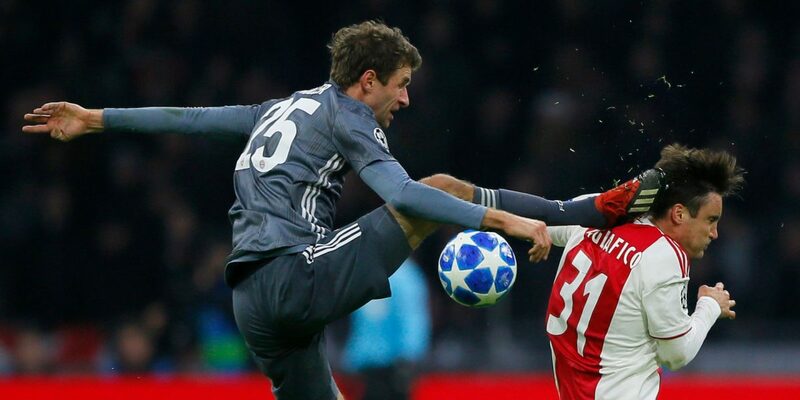 Thiago Alcantara’s presence is also questioned, while Thomas Muller will surely miss both legs due to his disqualification.